Tribal Textiles was started 20 years ago as a hobby. Now, this wonderfully successful business based in Mfuwe, exports to more than twenty countries worldwide. The product range includes bed and table linen, cushion covers, wall hangings, aprons, bags and a cute children's range. All the quality items are hand painted on 100% cotton and then hand sewn by an extremely talented workforce. The designs are all inspired by African colours, shapes and traditions. Tribal Textiles supports the local community providing employment for over 100 local Zambian men and woman as well as supporting Malimba Community School. A visit to this inspiring workshop and shop, conveniently placed on the road to the airport, is a must for all visitors to the South Luangwa National Park and all the lodges and camps will be happy to include Tribal Textiles in your itinerary. The shop also stocks curios, jewellery and hand crafted leather bags. 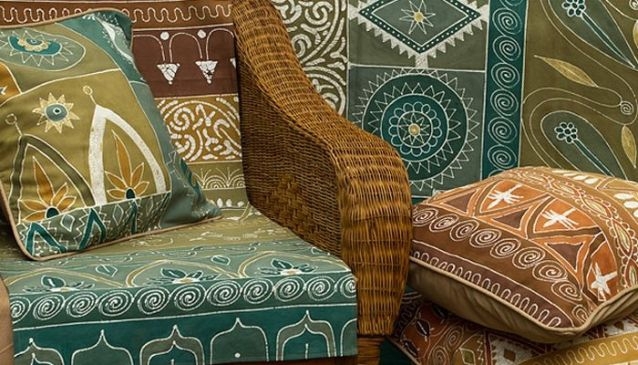 Tribal Textiles has recently introduced their Art Safari where you are invited to visit the workshop to either design your own work of art, or use a pre-drawn stencil, to create your own masterpiece. Once your work of art has been dried, baked and finished you have a personal souvenir of your stay in the South Luangwa.